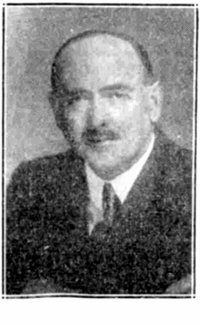 Sidney Charles Clothier was born at Reckleford, Yeovil on 24 November 1877, the son of glove cutter Frederick Clothier (1845-1908), originally from Stoke sub Hamdon, and his glover wife Emily Bartlett née Napper (1844-1927). In the 1881 census Frederick and Emily were listed at 16 Stars Lane with their children; Frederick E (b 1870), Alfred E (b 1872), Annie M (b 1874) and three-year old Sidney. The family were at the same address in the 1891 census although by this time Frederick listed his occupation as a glove manufacturer and was noted to be an employer. Annie and Sidney were still living at home together with two additional siblings - Frank (b 1880) and Ethel M (b 1886). 17-year old Annie was employed as a Board School Pupil Teacher while the three younger siblings were all scholars. In 1889 Frederick Clothier and his partner George Giles, a leather tanner, formed a company called Clothier Giles with a factory in Addlewell Lane next to Dodham Brook. The company was, to a degree, self-sufficient in that the raw leather was processed and the finished gloves were produced in the same premises. The company specialised in the manufacture of grain and suede gloves as well as general suede products. For a brief period at the close of the nineteenth century, the company was known as Clothier, Hitchcock, Giles & Co and were listed in Whitby's 1898 Yeovil Almanack Advertiser. By 1903 they had reverted to Clothier, Giles & Co and remained as such until they ceased trading. By the time of the 1901 census Frederick and Emily had moved to newly-built 37 The Avenue with their three younger children. Sidney worked as a glove sorter while his younger brother Frank worked as a glove maker / dresser - presumably both working for their father. In the summer of 1907 Sidney married Edith Maude Davey (b 1877) at Wellington, Somerset. They were to have two daughters, Kathleen Emily, born in 1908, and Joan born much later. In the 1911 census Sidney and Edith, together with daughter Kathleen, a visitor and a servant, were listed living at Hazledene, Grove Avenue. Sidney listed his occupation as a glove manufacturer - presumably taking over the management of his father's company following his death in 1908. By 1919 it appears that Sidney merged his glove manufacturing business with that of the late George Atherton. The new company became Atherton & Clothier Ltd, glove manufacturers of Court Ash, and were listed in Kelly's Directories of 1919 and 1935. Also in 1935 they opened a dressing yard in Addlewell Lane. During the 1920s Sidney became President of the Yeovil and District Glove Manufacturers' Association and a member of the Worshipful Company of Glovers. In 1924 he was admitted to the Freedom of the City of London; his application is shown below on which he stated that his business occupied the premises known as Hollands, Ilchester Road. He also became ever-more involved with the politics of Yeovil Town Council. 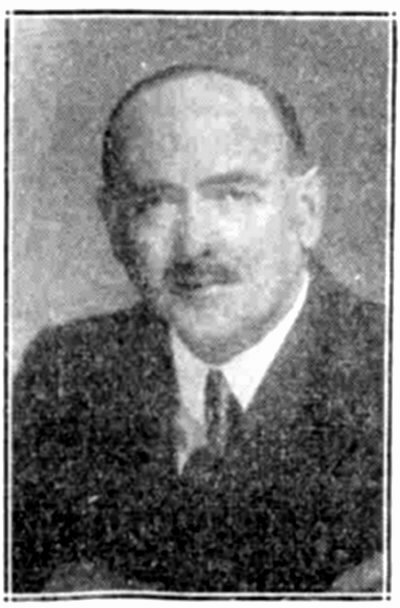 He was elected Alderman and served four terms as Mayor of Yeovil, from 1927 to 1929 and from 1935 to 1937. 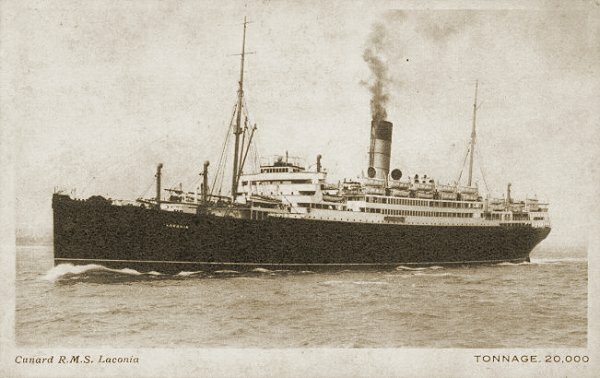 In 1931 Sidney and Edith went on a cruise to the Atlantic islands aboard the Cunard liner RMS Laconia travelling first class, departing from Liverpool and returning to England via Southampton. On the ship's manifest he was listed as a manufacturer, she as a housewife. Alderman SC Clothier, Mayor of Yeovil, will again fill the position during Coronation Year. At a meeting of the Town Council in Committee, on Monday, it was unanimously agreed that he should be invited to continue in office. This will be the fourth occasion on which he has been Mayor. Alderman Clothier, Governing Director of the glove firm of Atherton and Clothier, is a former President of the Yeovil and District Glove Manufacturers' Association, and a member of the Worshipful Company of Glovers. After the Second World War Atherton & Clothier became associated with fellow glove manufacturers RJ Pullman Ltd in Addlewell Lane. In the 1940s Sidney and Edith moved to Rydal Tower, Sherborne, Dorset. In May 1947 Sidney and Edith travelled to America on the Cunard White Star liner RMS Mauretania, arriving in New York on 8 September 1947. However, at the age of 69 and following heart failure, Sidney died at the West Suburban Hospital, Oak Park, Illinois, USA, on 20 October 1947. He was buried in England. Probate was granted in London on 28 January 1948 with his effects valued at £34,285 (just under £4 million at today's value). In Edwin Snell's Directory of 1954 Atherton & Clothier was listed twice; once as glove manufacturers and the second time as leather dressers, both in Court Ash. By 1964 however the company had moved to the Addlewell Lane premises and was listed in Foord's Directory of 1964 and Kelly's Directories of 1968 and 1970. The company closed in the 1970s. 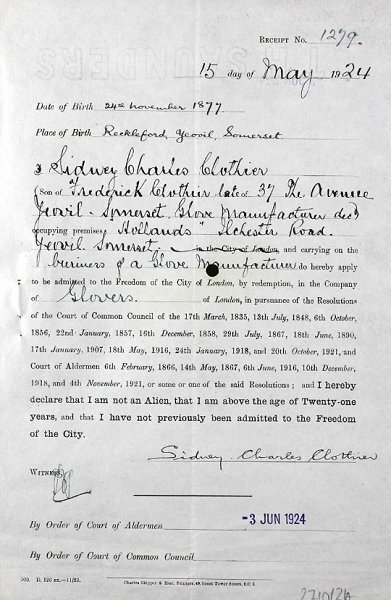 Sidney Clothier's application of May 1924 to be admitted to the Freedom of the City of London. The RMS Laconia - Sidney and Edith took their first cruise in First Class. 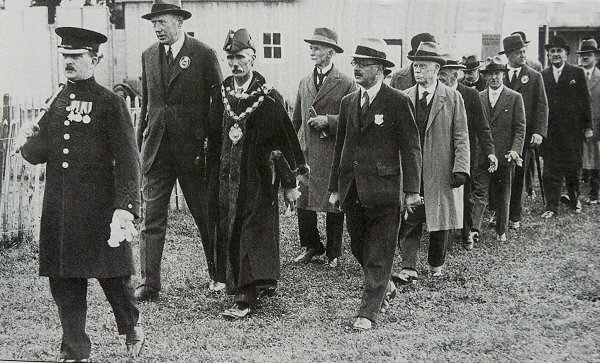 This photograph is from the Exeter & Plymouth Gazette's edition of Friday 16 October 1936 at which time Sidney was invited by the Town Council to continue in office - his fourth term as Mayor of Yeovil. 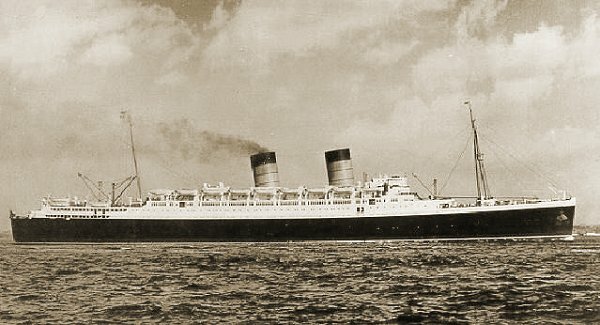 Launched in July 1928, the RMS Mauretania was the first ship built for the newly formed Cunard White Star company following the merger in April 1934 of the Cunard and White Star lines.